Preheat the oven to 180°C (gas mark 4). Heat the oil in a large, heatproof casserole dish over medium heat and cook the bacon, garlic and leeks, stirring occasionally, for 5-10 minutes or until the leeks has softened. Add the chicken to the casserole, breast-side up, and pour in the stock to a depth of 2cm . 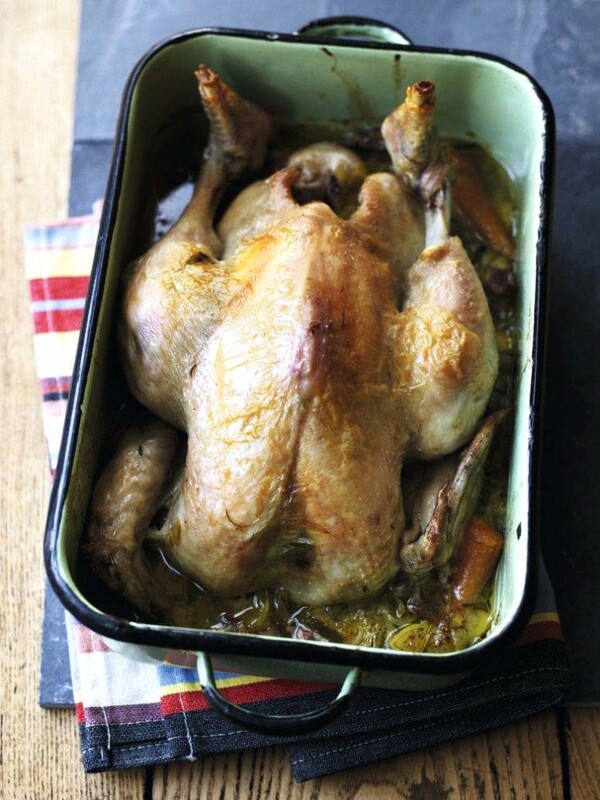 Tuck in the thyme, bay leaf and season the chicken with a little salt and pepper. Cover tightly with foil or with a lid, and cook in the oven for 1 hour 10 minutes, basting occasionally with the pan juices. Remove the lid add the carrots and return to the oven for a further 20 minutes.